Entrepreneurs often get involved in business projects together, or in ‘partnership’ with one or more other entrepreneurs or investors. 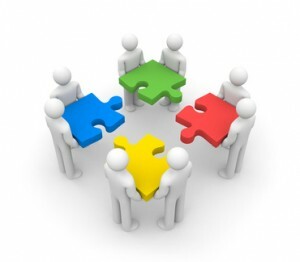 There are various types of partnership structures. Three common partnership structures include general partnerships, limited partnerships, and limited liability partnerships (LLP). These blog posts will provide a brief overview of the general characteristics of each. The first point I want to make is that a partnership is not a separate legal entity (as is a corporation). A partnership is a relationship that exists among persons who carry on business in common. In fact, the term, “partnership” is defined in s. 4 of the Partnership Act (“Nova Scotia”), as a relation between two or more people carrying on business in common with a view to profit. The definition of partnership was judicially considered by the Supreme Court of Canada in Spire Freezers Ltd. v. Canada  1. S.C.R. 391, and in Backman v. Canada  1 S.C.R. 367. An important point from these cases is “the determination of the existence of a partnership will depend on the true contract and intention of the parties as appearing from the whole of the facts of the case” (Spire Freezers, at para 18). Entrepreneurs must realize that before a partnership is entered into, they should understand the legal consequences of what they are getting involved in, because if a partnership is found to exist, the risks and responsibilities of being a partner cannot be avoided. Keep in mind that the courts normally consider, among other things, the parties intentions in regards to profit sharing, sharing of losses, contributions and control in making a determination of whether or not a partnership exists. A business name will have to be registered if the partnership is operating under a name other than that of its partners. The same penalties for non-registration apply to a partnership as for a sole proprietorship. Every partner is an agent of the firm and his other partners for the purpose of the business of the partnership, and the acts of every partner who does any act for carrying on in the usual way business of the kind carried on by the firm of which he is a member bind the firm and his partners, unless the partner so acting has in fact no authority to act for the firm in the particular matter, and the person with whom he is dealing either knows that he has no authority or does not know or believe him to be a partner. Partners are agents of the other partners, as well as of the partnership. This means that any partner can bind the partnership, and/or its partners in contract, and each partner is responsible for the wrongful or negligent acts of the other(s) in relation to the partnership. Like a sole proprietorship, the owners/partners have unlimited liability which is joint and several. This means that if one partner does not have sufficient assets available to satisfy his/her ‘share’ of liability, other partners’ assets can be responsible for greater than their share. Because every partner can bind the partnership (and partners therefore), being a general partner is frequently unacceptable in a situation where there is a wide group of investors who do not know each other (see limited partnerships, corporations). Since there are more people/agents involved in a partnership, it logically follows that there is a greater risk of action being brought against the partnership, and therefore it is important to have the ability to defend an action. Commercial insurance may be purchased to limit risk, but as explained in the article on sole proprietorship, insurance has limits. Partners have default rights under sections 22-34 of the Partnership Act, supra, which include that all partners will share equally in the capital and profits, as well as contribute equally, its share toward the losses of the business. Partners by default, are also equally entitled to participate in the management of the business, and all existing partners must consent to new partners being admitted into the partnership, and several others. However, as stated in s. 22 of the Partnership Act, these default rights may be contracted out of, and in fact often are through the use of a partnership agreement. The reasons for this are many, and include that it is rare that all partners will be equal in their input into the partnership business. In new, small business particularly, conflicts can easily arise when expectations are not understood, this can have a crippling effect on a small, and closely held (friends or family) business partnership. It is important for partners to set out their roles clearly from the beginning with an agreement that reflects the true intentions of the partners and provides some guidance in many of the items which are addressed and agreed to in a partnership agreement. It is prudent and recommended that partners enter into a professionally prepared partnership agreement which clearly sets out the roles, rights and responsibilities of each party in plain language. This will protect the business by helping to avoid and/or settle any disputes or misunderstandings which may arise during the course of the partnership. A partnership may be dissolved in several ways which include by agreement of the partners, or upon the occurrence of acts of dissolution as set out in a partnership agreement, by Court Order, upon the death or bankruptcy of a partner or pursuant to the Partnership Act. Other partners who wish to carry on the business may be able to do so by starting a new partnership, or by following an express provision in the partnership agreement setting out the procedure for continuation of the business. Such clauses will usually address funding a buy-out with life insurance on death, purchase and sale/exit procedures in the event a partner retires/exits from the business. Upon dissolution, or the exiting of a partner be sure to engage legal tax advice and accounting advice as there may be very important tax considerations to be aware of before action is taken in any direction by remaining partners. Advantages of partnerships include access to more resources from the shared capital, skills and other resources of the partners without necessarily having to incur debt, though it is common for partners to leverage instead of using their own funds. Although a partnership is not a separate legal entity, the computation of income (or loss) is initially calculated from each source at the partnership level as if the partnership were a separate person. Once income (or loss) is computed at the partnership level, it is then allocated to the partners who report the income or loss in their individual tax returns and pay taxes accordingly. Garnet Brooks is able to help entrepreneurs set up a partnership, or discuss other business structures to meet the business needs of entrepreneurs. Garnet is also ready and able to draft partnership agreements for entrepreneurs going into partnership with one another.